Many of the challenges Europe faces on a frequent basis, such as extreme weather conditions and population movements, often transcend borders and have long-term effects. Continuous rainfall in May 2014 for example, resulted in extensive flooding across Serbia, Bosnia and Herzegovina, and Croatia; bringing up multiple vulnerabilities for everyone involved, and pointing to the need for rapid and coordinated responses. To address these types of disasters in a sustainable manner, greater focus should be placed on Psychological first aid (PFA) and Psychosocial support (PSS). Adapting and developing tools that consider these new challenges, as well as new types of helpers like spontaneous volunteers, is critical. For these reasons, the National Red Cross Societies of Austria, Croatia, Italy, Macedonia, Serbia, and Slovenia have come together to address common challenges, such as the integration of PFA and PSS into emergency responses at all levels, or improved involvement of affected communities. Coordinated by the Austrian Red Cross, the two-year “Psychological First Aid and Psychosocial Support in Complex Emergencies” (PFA-CE) project kicked off in April 2017. Enhancing the skills and knowledge of staff and volunteers. Encouraging affected communities, families, and groups to be more active in responding to emergencies. Improving coordination and support for new kinds of volunteers, such as people who spontaneously offer their time to help those in need. Enabling the exchange of experiences and learning regarding long-lasting and recurrent crises in Europe. “When relatively large numbers of migrants reached Europe in 2015-2016, a great desire to help by the population was witnessed, with many people spontaneously offering their time. However, spontaneous volunteers also need coordination and support. It is important to think about adequate framework and the new forms of psychosocial support needed for spontaneous volunteers in advance.” said Professor Dr Barbara Juen from the Institute for Psychology at the University of Innsbruck. As part of the project, the University of Innsbruck compiled a report on existing tools for psychological first aid, community-based psychosocial support, self-care and peer support, as well as the management of spontaneous volunteers. Among its key findings, the report identified a need for more adaptive and inclusive crisis management models that make better use of community capacities and resilience. It also included recommendations on how to provide basic PFA information to all staff and volunteers, and ensure continuous support for volunteers and staff, for example through peer support systems, access to mental health professionals, and leadership training. In an emergency environment, staff and volunteers are often exposed to high levels of stress and exhaustive working conditions. During the large population movements to and through Europe in 2015-2016, emergency responders often found themselves comforting migrants through their hardship, and listening to their horrific stories and traumatic experiences. 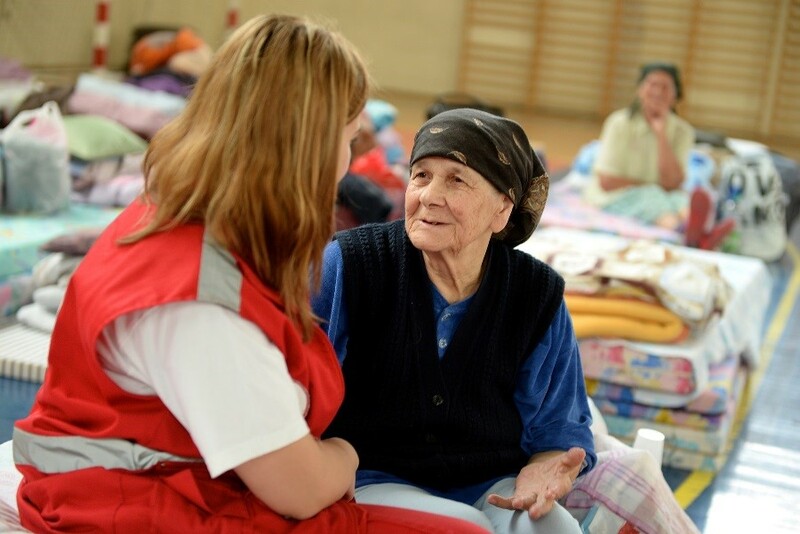 In Croatia for example, the Red Cross observed that many volunteers, especially those with less training and experience, expressed difficulties in maintaining their wellbeing. Establishment of a peer support system for those most at risk of burnout. 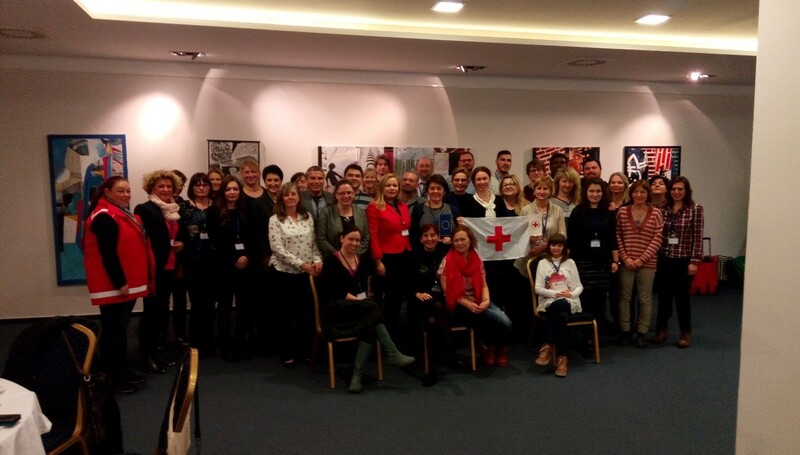 The main conclusions from a workshop in Croatia in November 2017, which presented best practices in psychological first aid, will be used by the Croatian Red Cross together with the research from the University of Innsbruck to help develop a package for trainers of volunteers and staff in emergency responses, with a special focus on strengthening the capacities of team leaders. There are also plans to develop guidance on managing different kinds of volunteers, which will be shared within the European disaster management community. This project is funded by the European Union, Civil Protection. For further information on the project, visit the PFA-CE website.